Although I have been a practicing lawyer for 30 years, my focus has been on the judicial process, and I have given little thought to the law-making process. This year that changed, as I have dipped a toe into the legislative pool and would like to share that experience with others. Every WA resident has the power to make their voice heard and contribute to changes in the State laws that we must all follow. My journey started with a problem faced by my clients, as we try to convince the Social Security Administration that they are disabled. When their appeals reach the hearing level, SSA requires that they produce copies of all their medical records. Under WA state law, medical providers can (and do) charge a $25 administrative fee PLUS $1.12 per page to produce the records. Patients are charged this amount, even if the records are provided in electronic format and there are no actual costs to produce these “pages.” These copy fees are often $200-$600 per case, and I had one client with so much medical evidence that it cost him $1300 to update it. 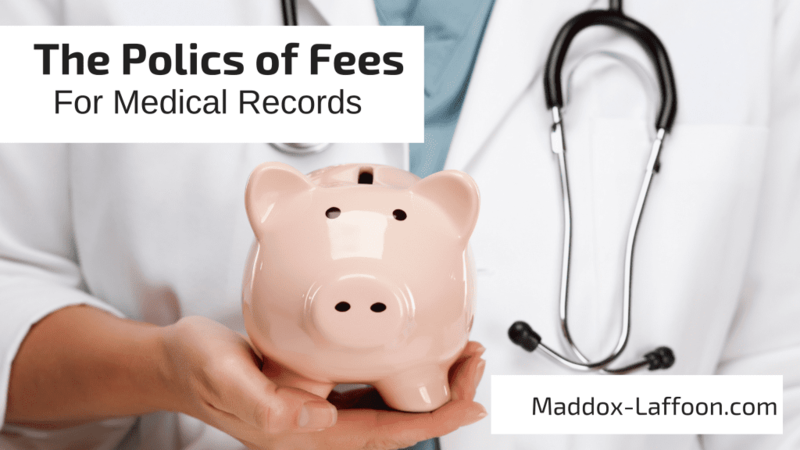 Many medical providers use national copy companies to comply with records requests, so these big fees from WA patients end up lining the pockets of out-of-state corporations. Since disabled people are, by definition, unable to work, these fees are being borne by the very people who can least afford them. They have no other source from which to obtain the medical records that they must produce, and these are records that actually belong to the patients. Many law firms, including mine, can front these fees, but the client must ultimately pay for them. The high fees for medical records can make it impossible for applicants without lawyers to prove to SSA that they are disabled. Fed up with this problem, I decided to try to do something about it. The first step in changing the law is to find a State representative or senator who is willing to take up your cause and introduce a bill. I was fortunate to find a sympathetic ear from Representative Pat Sullivan. Next, make sure that the legislator is aware of all the issues connected with your requested bill. Their staff will then draft a bill for introduction into the appropriate committee. In my case, it is HB1239, and it was introduced through the House Health Care & Wellness Committee. The committees hold public hearings, so make sure that you track your bill and sign up to testify. This is important, as it may be the only opportunity you have to speak with the people who will be deciding whether or not to pass your bill. I found the members of the Health Care & Wellness Committee to be very kind and interested in what I had to say. If your bill gets out of committee, it will be voted on by the Chamber in which it was introduced, in my case the House. If passed, your bill will then go on to the other Chamber, where the committee and floor vote process is repeated. You can track the status of your bill, and learn more about the committees, at leg.wa.gov. As of this writing, the Medical Records bill has passed the House and is on its way to the Senate. Hopefully, by the end of this legislative session, we will have a law that gives all disabled people who are pursuing their Social Security disability claims a free copy of their medical records. If you wish to support this particular bill, contact your local State Senator and ask them to vote for it. And if you see something in your community that needs changing, consider talking with your Representative or Senator about it!